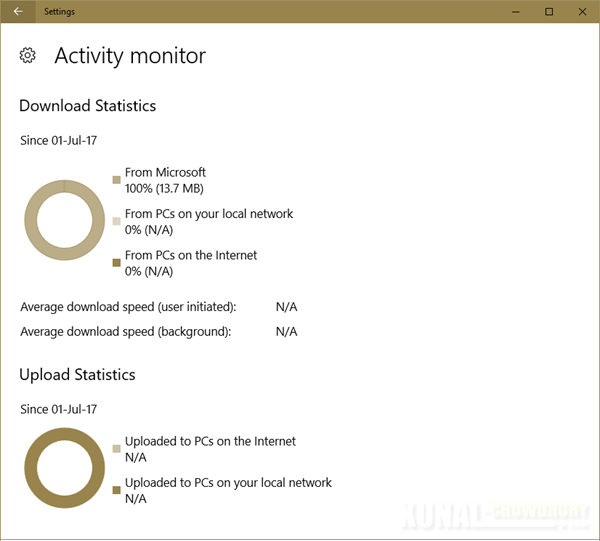 Windows 10 Update delivery works better by creating a peer network to send/receive updates within LAN and/or internet. But till date, there was no control over it's upload/download bandwidth and thus, there was a need for it. 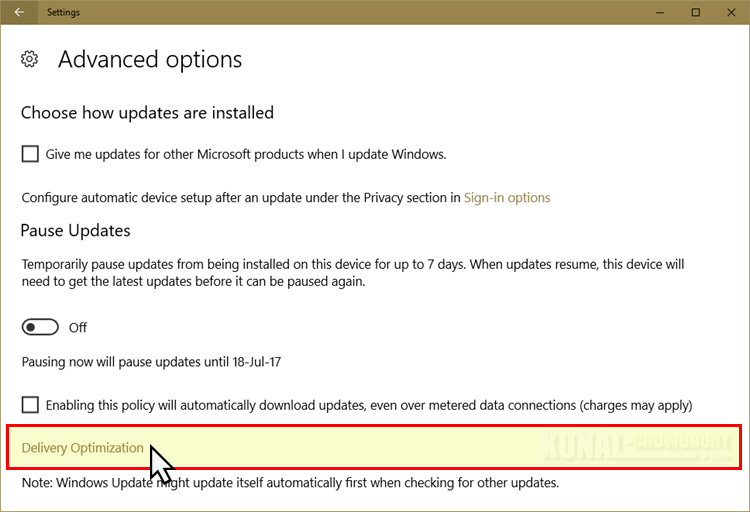 Though this feature is not yet announced in Release Notes, but a separate settings page has been seen in recent version of Insiders Preview build, which we are going to discuss in this post. 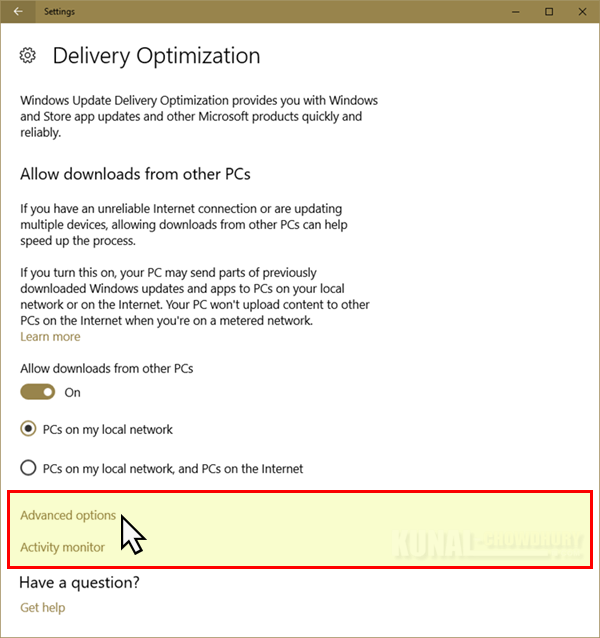 In a most recent version of Windows 10 Insiders Preview build for Fall Creators Update, a new page has been observed in the Windows Update settings which allows you to control the bandwidth of Windows Update using the delivery optimization. Though this is not published in any of the release notes, but it is expected to see in forthcoming insiders update. As it is still under development, the functionality may or may not work properly. 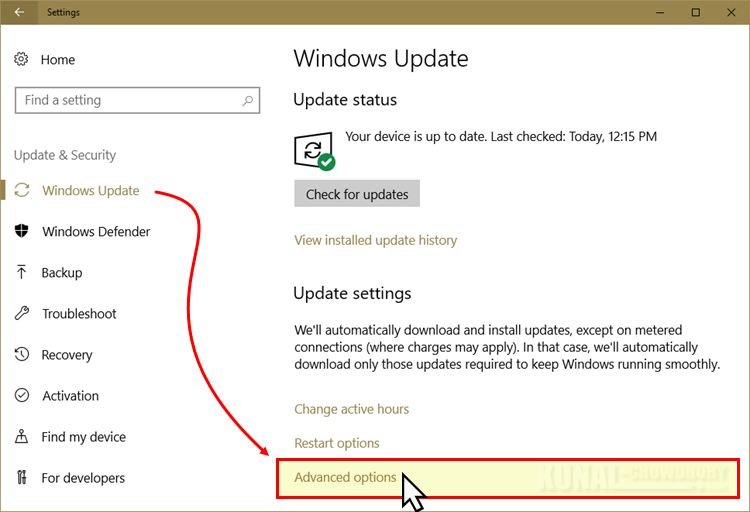 This will open the Windows Update Advanced options page. As shown below, scroll down to find another link that says 'Delivery Optimization'. 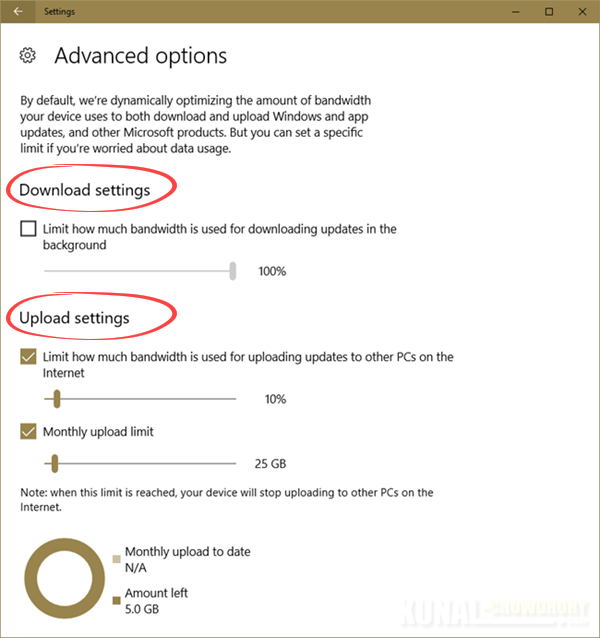 In the advanced options page, it provides you to optimize the amount of bandwidth your device uses to both download and upload updates. But you can set a limit if you are worried about data usage. To limit it, check the option and move the slider left or right based on your choice. Did you like this feature? Do let us know, how you feel. Please keep posting your suggestions and issues to Microsoft via the Feedback Hub app. If you have come this far, it means that you liked what you are reading (Windows 10 most likely to allow control over update bandwidth).